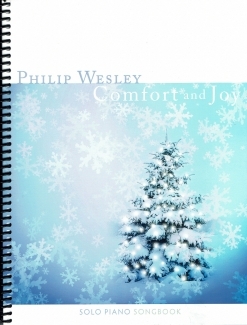 Comfort and Joy is the companion sheet music book for Philip Wesley’s 2005 solo piano album by the same name. The album and songbook both consist of nine traditional and three original Christmas piano solos. They appear in the same order in the book and on the album so if someone really wanted to, he or she could play along with the recording. The sheet music is transcribed note-for-note from the recording and includes metronome settings and suggested pedaling. The notation is clear, roomy, and easy to read. The book is spiral bound and printed on a medium-weight paper stock that should last for many years of playing enjoyment. The book has full color covers, front and back, with enlargements of the beautiful CD cover artwork by Matt Strieby; the composer/arranger’s bio is also included. 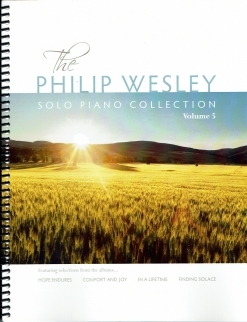 Wesley’s arrangements are full and fun to play without being terribly difficult. Pianists at an upper-intermediate to early-advanced playing level should have no problem mastering this music. There are a few reaches of more than an octave, but alternatives are suggested for pianists with smaller hands. Wesley’s music often has time signature changes within a piece, but that really doesn’t make the music more difficult - it just gives it a bit of a rhythmic edge. 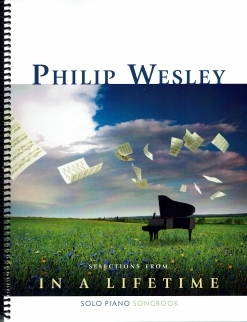 I really enjoyed my time playing through this songbook and recommend it to pianists of any age group. 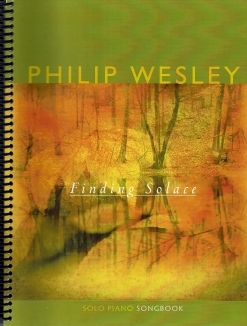 The music is available as a spiral-bound book, a PDF book, and as individual sheet music downloads at www.PhilipWesley.com.